welcome to edmond g. loedy, architect p.c. 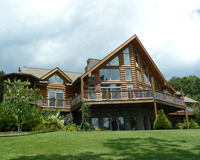 The architectural firm, located in Millbrook, New York, was established in 1966 and has become known throughout Dutchess County and the Hudson Valley for its quality and creative professional services in architecture, interiors and site planning. Past and present clients include builders, developers, municipalities, fire companies, institutions, colleges, churches, corporations and individuals.